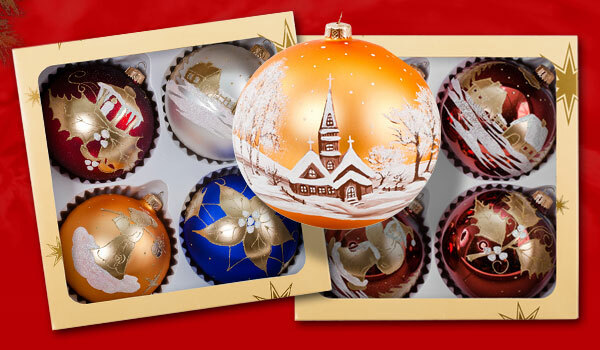 PPHU Mark is a manufacturer and producer of hand decorated Christmas balls which is located close to Warsaw. All products that we offer are handmade and hand-crafted, including baubles with printed logo and personalized christmas ornaments. During production process we pay attention to details and quality. In our wide offer you will find a great choice of Christmas ornaments made in Poland, which means that we propose them in very different shapes, colors and styles. Our Christmas tree decorations will for sure get you recognition and approval. Glass Christmas baubles painted by hand in Poland are not only vougish and tasteful, but also relating to style. PPHU Mark is a manufacturer of Christmas glass ornaments which tries to live up to all the requirements of our customers. Because of the fact that such decorations could be great advertising gadgets, in our wide offer you can also find Christmas balls with company logo. Being a producer of Christmas tree glass decorations is our passion, so we try to make our best to make all of our products in traditional way. If you are looking for the best Christmas baubles manufacturer, PPHU Mark is certainly the best choice. We kindly invite all companies to contact and cooperate with us.